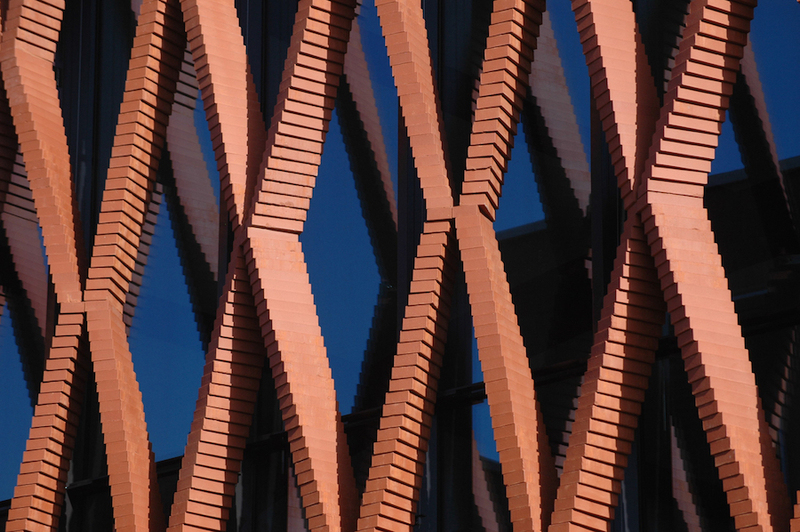 Research-intensive Swiss architecture firm Gramazio & Kohler has created a robotic arm capable of stacking bricks into a sculptural, helix-like facade that would appear to defy gravity. 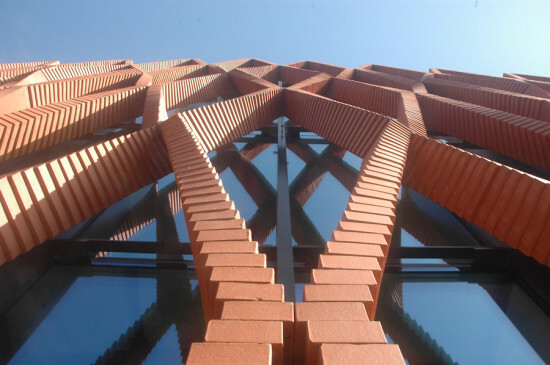 The facade zigzags across the front of the offices of Swiss brick manufacturer Keller AG Ziegeleien. By stacking bricks at angles to one another in a gentle curvature, the robotic arm makes the bricks appear light and airy. The repetitive-though-intricate task, which would be inordinately difficult though still possible without the robot, is guided by algorithms, without the need for optical reference or measurement. Hence, no extra effort is expended in creating more complex structures, unlike with a human bricklayer. Furthermore, the arm can rotate bricks in multiple directions to create space between each brick, effectively producing curvatures and other complicated shapes. 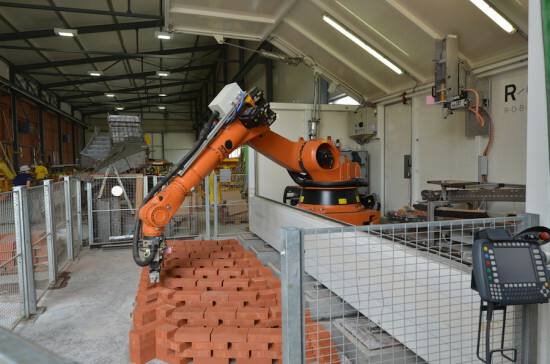 Named ROBmade, the robotic arm assembles and glues the bricks into facade patterns, such as the eye-popping Programmed Wall in Zurich, in which a brick wall was made to visibly billow in and out. 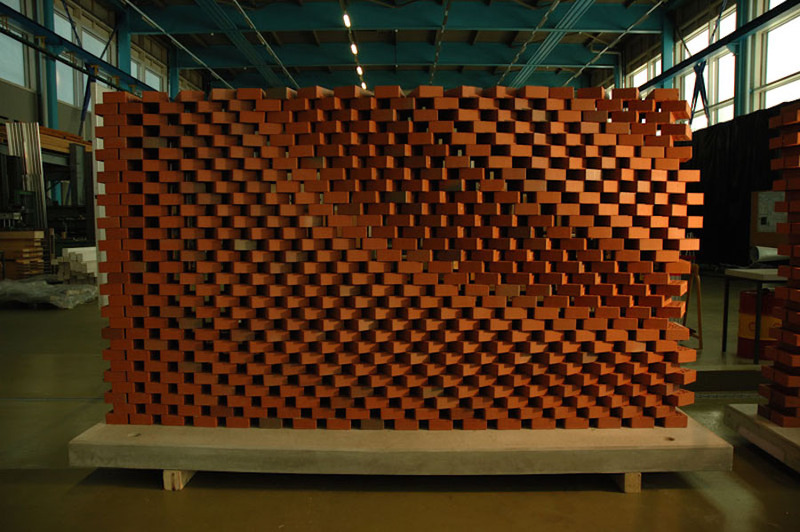 Each brick has a hollowed-out honeycomb structure at its center in adherence to a tenet of aerospace design, in which the bulkiest materials in a plane must be kept lightweight. The bricks can be stacked high when connected with adhesive joints. According to Gizmodo, robot-stacked architecture could work on a larger scale by turning the floors of buildings into building blocks – given, especially, the robot’s ability to carry out repetitive complex functions with enormous precision. The firm has experimented extensively with robotic arms for on-site construction and design, touting ROB itself as a mobile fabrication unit that can be transported via container. In 2009, the brick-laying robot made its debut in New York City, part of a project by the Storefront for Art & Architecture to create an undulating brick wall called Pike Loop. Watch the robot in action below.